Media is can be a very effective tool to develop and promote your business because as we know many people are loved to use the media to share the information. There are many kinds of Medias that you can choose in order to promote the business that you run such as social media printed media and many more. One of that Medias is poster. Poster is a graphic art on the printed media with the big font size that is composited with the pictures and letters. It is usually placed on the wall or the other flat surface. Poster is aimed to attract as much as attention from the people that is passing through the place where a poster is placed. That is why; Poster is usually found on a place that is visited by many people or the hang out places such as the station, Movie Theater, market and many more public places. Poster can be a tool for advertising in varies purposes, education needs, propaganda and also decoration. Besides that, it also can be a copy of the other famous masterpiece. Everyone is loved poster whether it is a kid or an adult because it is really interesting to see. Poster is just like an object on the wall that is seducing the people. Because of that, poster is one of the best medias that is can be used for a promotion need and it can be an effective media in order to develop your business. With the play and combination of some colors that is suited with the business’s needs, poster can steal the attention of someone who is looking at it. Poster as an advertising media for business is should inform many things about a product in a simple way and clear with an artistic picture illustration. All of the people are loved a picture and a picture can say a million word. An effective poster is should be made with the unique design, has the clear meaning, it can describe something and give the right and appropriate information track. As added information, a good poster is not always costly or expensive. The important thing is that you are ready with the creative ideas that you want to have in a poster. Price or budget is something that is can be suited. You can make the poster by your own if you had the supported skills, tools and some of the technologies that are maybe needed in making a poster. However, if you could not make a poster by your own, you may not be worried because there are many services that are offered a service to make a poster as what you are needed. 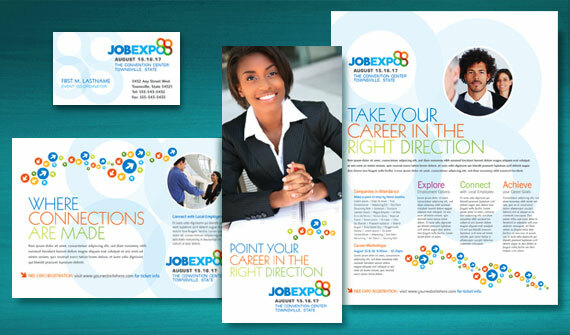 You just need to tell them about what topic that you want and the other details that you want to have on your poster. Usually, the price is can be suited with the budget that you have. The important thing is that choose the experienced service so you will get the best quality poster in the right time. Be the first to comment on "The Unique Poster Design for Business"